I always wanted to start programming in Processing. 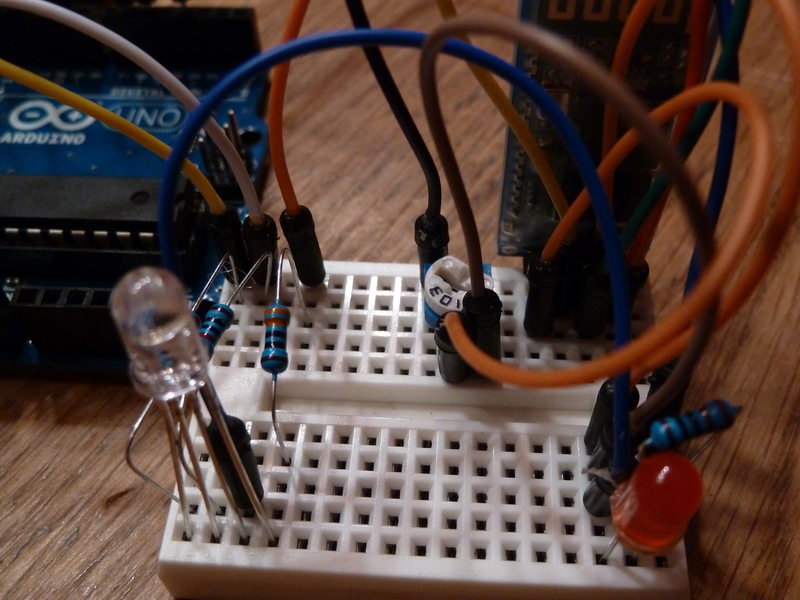 And when I came across the Dimmer example in Arduino’s example folder and I saw that there was also some Processing code I decided that this would be my first Processing, Arduino and bluetooth project. 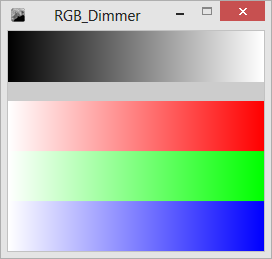 I extended the Dimmer Processing code with a red, green and blue gradient strip. In the example was already the gradient from black to white. The idea was to dim a LED and also to control a RGB led from the GUI. 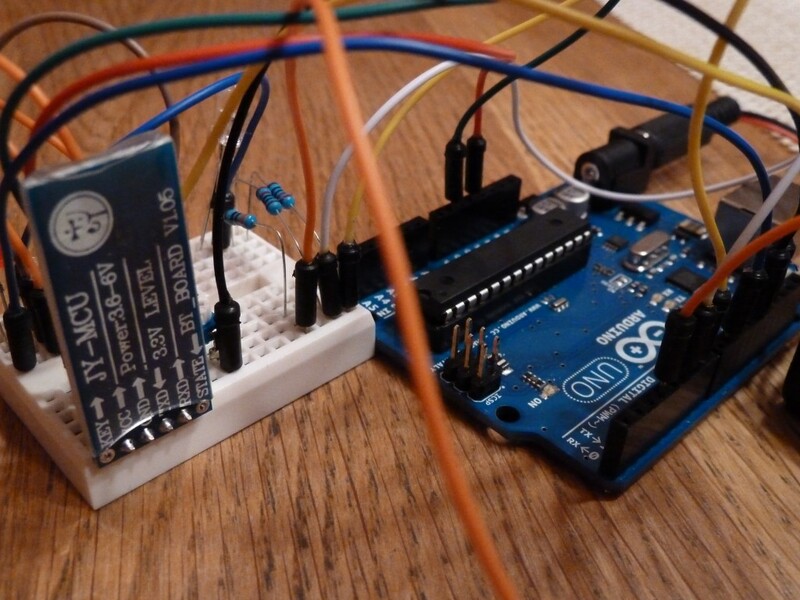 I got some inspiration on how to send values from Processing to Arduino using this post by MadeByFrutos and set up bluetooth communication according to this instructable. For the bluetooth connection I set up a software serial port on Arduino. I connected the RX of this software serial to the TX pin of the HC-05/HC-06. As the bluetooth module works with 3.3V levels I set up a voltage divider using a 10k poti. The TX of the software serial would be connected to HC-05/06 RX pin using that voltage divider so it would not get levels over 3.3V. Please notice the voltage divider (poti) that puts down the level for Arduino’s TX to 3.3V. Please find the code in my GitHub repository. 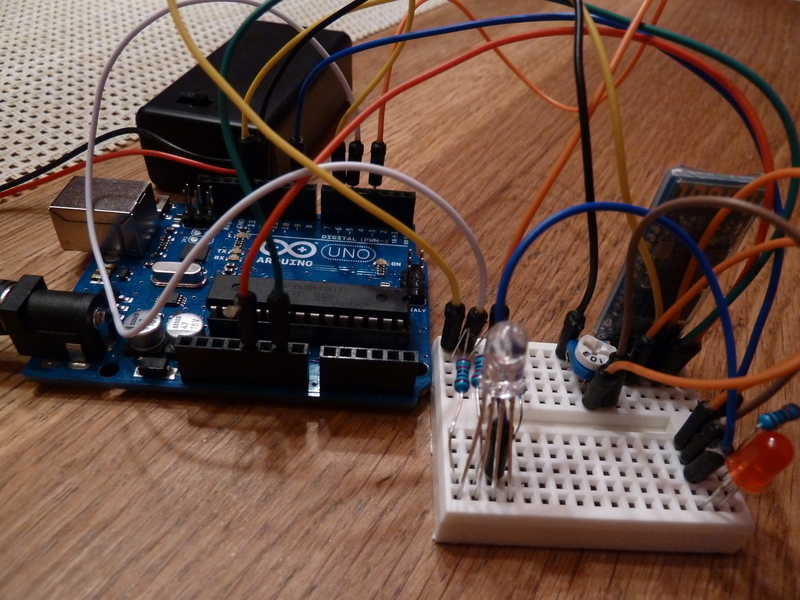 Set up with Arduino Uno, a red Led, a RGB Led and an HC-06 bluetooth module. Backside of the project set up. This entry was posted in Arduino and tagged Arduino, Bluetooth, HC-05, HC-06, LED, Processing, RGB by Roman. Bookmark the permalink. Lee, do you mean 5 arduinos with a bluetooth adapter each? If so, yes – As every bluetooth adapter shows up with a different COM port you could even address them individually. Do you know about this. Can i use RBBB instead Arduino UNO..? Coz i want to use small equipment. Lee, sorry, I haven’t worked with XBee but from what I know they are way more expensive than a HC-05. Also didn’t know the RBBB. But it looks like they are Arduino compatible. Keep in mind that programming is handled with a USB-to-TTL serial cable. Which programming language did u use to create own GUI and what steps are required to talk to Arduino through HC-05? I used processing but you can basically use any language you like that has a serial port object. I’m having the problem with the HC-06 in Windows 8 too. How can I configure the Toshiba Bluetooth Stack? Bryan, I googled for Toshiba Bluetooth Stack and after installing it it worked for me. Hi, I would appreciate your help in this. I have been able to send data to arduino through the wireless module, However, I am having trouble sending the data from arduino to PC. Although the module makes and incoming link as well, nothing seems to be sent to the PC. Would you please let me know if you have done something like that. (TX rather than RX) Thanks. You can definitely send data from your Android over Bluetooth. 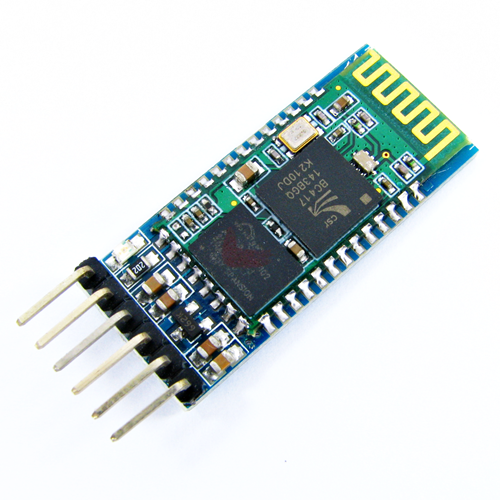 You can use them to send data to Arduino over Bluetooth. i have an Arduino UNO and HC-05 module i can send data to them by bluetooth terminal via Android successfully. I can use computer program in java to send and receive data from Android cause bluetooth terminal connecting to them. But I cannot connect java program to HC-05 after pairing cause they both wait the other to connect with them. So how to do this ?? Good day, May I get the code for this project of yours wanna check it out. It fascinates me hey. Hi. Arduino Uno has a 3.3V out and 5V also. So why we use a voltage divider? Why we cant just use 3.3V out? Umm because 3.3v on arduino is power out. Not data out…. true? Hi Roman, i want to use hc-05 in my project. But i am not sure for use something. My I want to show my result in pc with bluetooth module. My pc has bluetooth, Should i buy another bluetooth adapter for hc-05 module ?